Once the decision about burial or cremation has been made, the next step is to decide on the funeral location. There are many local places that will host a funeral service. 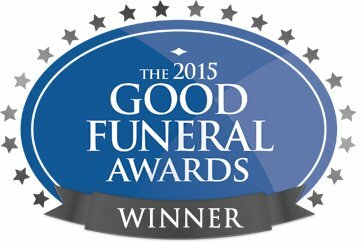 This page details the local and most commonly used funeral service locations. If there is a venue you are interested in that isn’t listed here, please let us know. Hosting the service in a church is a more traditional option and suitable for those who have a faith. If you are a member of a congregation we can speak with the Reverend or Minister to arrange the service. If you don’t attend the church but still wish to have a funeral service there, it is not a problem. A.R. Adams will speak with the Church team and will endeavour to arrange the service. If a burial is taking place there is the option to host an open air service, usually at the graveside. This is particularly popular for small, intimate services or for green funeral services. Its important to remember that being outdoors, there are no microphones and limited choice for sound systems and the British weather can sometimes pose an issue, however an open air service is a beautiful, intimate option. You could opt for a graveside service at the following cemeteries. Whether the service is for burial or cremation there is the option of hosting the service at a crematorium chapel. These offer more space for larger congregations along with modern facilities for music and webcasting. If you are using the crematorium chapel but are having a burial service, the procession will make its way onto the final resting place after the service. You can find details of the crematorium chapels on our cremation page.